Many of the families I work with ask me for my opinion about the best books to read to get ready for their birth and new baby. I wanted to share with you some of my recommendations. I personally feel that every pregnant woman should read, "The Thinking Woman's Guide to a Better Birth, by Henci Goer. This book informs women on the pros and cons of all of their labor choices. She covers the latest research on everthing from prolonged first stage labor to vbac. Another great book to prepare for birth is, "The Labor Companion", by Penny Simkin. This book is a wealth of information on coping strategies for labor. If you are planning to breastfeed you baby and only have time to read one book choose,"Breastfeeding Made Simple", by Nancy Mohrbacher. It truly is simple, easy to understand and has wonderful pictures. I know there are tons of books out there on infant care, feeding & sleeping. The book that I really love is, "Secrets of the Baby Whisperer", by Tracy Hogg. It is full of practical advice that is fun & easy to read. I wish I had this book when my children were babies! 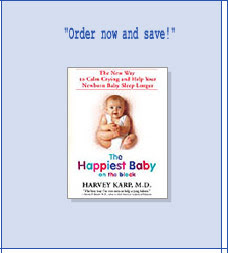 Another resource that I highly recommend for new parents is, "The Happiest Baby on the Block" dvd by Dr. Harvey Karp. He shows parents how to use five simple techniques to activate their babies calming reflex. I have used this with many fussy babies and it truly does work. My clients demand for this dvd was so great that I became a distributor. I hope that these recommendations will help to get you started preparing for the amazing journey of parenthood. As always please feel free to contact me if I can help in any way.